We all enjoy a comfortable temperature in our homes and an improved quality of indoor air. One of the key components in any Toshiba air conditioning or other make of system is the air filter. Sadly, many people neglect their air filter, by not replacing them often enough or by using the wrong kind of filter. The air filter is extremely important for a number of reasons, let’s examine the issue in greater detail. An air conditioning system represents a significant investment in the quality of your indoor air. The system is a complex piece of equipment with mechanical, electrical and electronic components. Much like a car, an air conditioner should be serviced regularly to ensure that it’s working as intended. However, there are ways to protect your air conditioner yourself without any special technical skills. The air filter in your system is there to protect your AC system from debris and particles that could be sucked into the system. The particles could cause significant damage to the components in your system, and you can see these materials on the surface of your air filter. When the air filter is dirty, the efficiency of the system drops and the AC system attempts to compensate. This causes additional wear and tear as the system works harder than it needs to. This can lead to premature component failure and increase the size of your energy bill. Air conditioning experts typically recommend that the air filter is changed every month and at the most every two or three months. This can vary depending upon the type of media being used, and a washable filter can be cleaned until it wears out. The air filter helps to keep the air clean and as we have already discussed helps to prevent damage. However, the wrong air filter will not be very useful in either of these aspects and may actually cause more harm. The air filter must be the correct size and rating to match your air conditioner to work properly. The relevant information on Minimum Efficiency Reporting Value (MERV) of the air filter that you need to use with your system should be noted in your air conditioner manual. A MERV rating between 1-4 is fairly typical for most systems, but if the air filter is too strong, it can damage your air conditioner as the air will struggle to pass through it. If they would like to know more about Toshiba air conditioning, Perth residents and business managers should contact us. 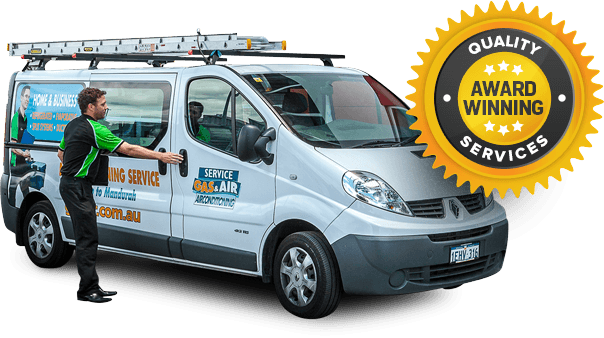 At Gas & Air, we can supply, install and service a wide variety of cooling and heating equipment for both domestic and business use. Our Toshiba air conditioning service will ensure that your system is working effectively and efficiently. Our sales team is standing by to answer any remaining questions that you may have.